Have You Tried a Little Merlot? Have you tried a little MERLOT? No, not the wine, but the Multimedia Educational Resource for Learning and Online Teaching. MERLOT provides a Free and open online community of resources designed primarily for faculty, staff, and students of higher education from around the world to share their learning materials and pedagogy. 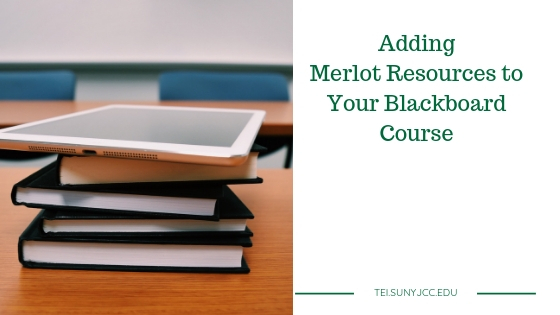 MERLOT is a leading edge, user-centered, collection of peer reviewed higher education, online learning materials, cataloged by registered members and a set of faculty development support services. MERLOT has over 40,000 objects arranged in 20 different types to include animations, case studies, quizzes, presentations, and more. You can not easily include these resources in your courses.